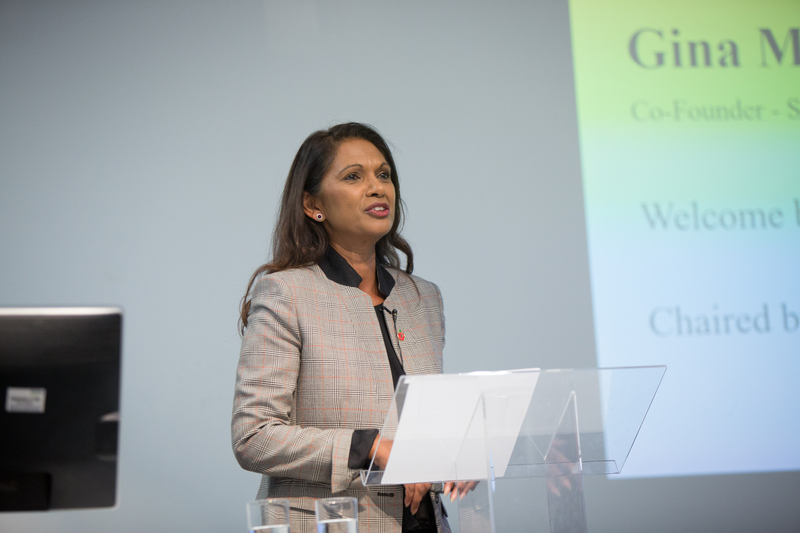 At this year’s Mishcon Lecture, Gina Miller, Transparency Campaigner and Philanthropist, delivered a speech on ‘What is Truth?’. UCL Laws was delighted to host Gina Miller for the Annual UCL Mishcon Lecture 2018 to a packed audience of over 300 on Wednesday 7 November 2018. The lecture was chaired by The Rt Hon Baroness Helena Kennedy of the Shaws, QC, FRSA, HonFRSE with an introduction by the Dean of the UCL Faculty of Laws, Professor Piet Eeckhout. During the speech, Gina spoke about how the meaning and rules surrounding truth have evolved in the digital era, especially with the rise of social media networks. Gina argued that "social media is moving us in the direction of post-truth politics", and provided examples of how dangerous falsehoods can disseminate quickly within social media platforms - often encouraged by headlines in major newspapers. Gina went on to highlight the implications of this for lawmakers, by questioning to what extent can legislation and regulations keep up with the development of technology. After her speech, the event opened the floor to questions. Audience members raised key issues such as the link between socioeconomic inequality and susceptibility to believing lies; and the extent to which the law intervenes when politicans and world leaders make false claims. "We must always fight to preserve the beautiful truth as opposed to the ugly lie, because the truth offers the very thing we are seeking: a peace of mind." The Annual Mishcon Lectures were established at UCL in 1990 in honour of Lord Mishcon to mark his 75th birthday and in recognition of his achievements and service in the fields of law, education, religion, government and politics, both central and local.